Movement: Calibre BR-CAL.201. Manual winding mechanical. Case: Argentium®. 41 mm diameter. 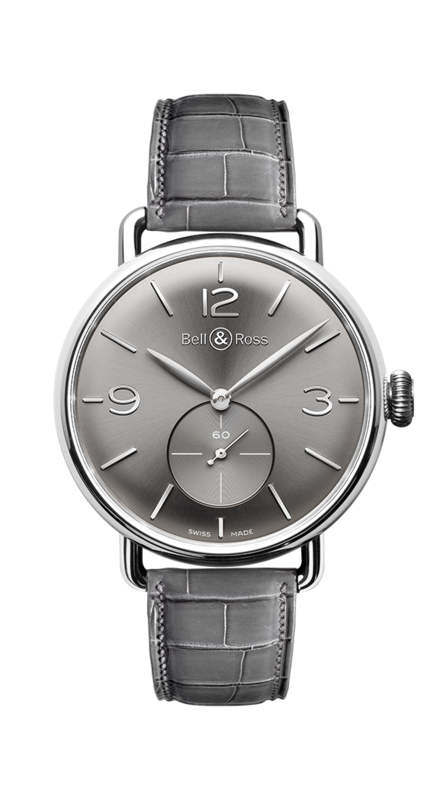 Dial: ruthenium finish. Domed, with sunray pattern. Metal applique numerals and indexes. Crystal: domed sapphire with anti-reﬂective coating.